2:190 And fight in the way of Allah against those who wage war against you, but do not commit aggression, verily, Allah does not like aggressors. Commentary: The Messenger of Allah (SAWA), with 1,400 of his companions, went for the pilgrimage of Hajj in the year of 6th Hijri. While the city of Mecca was still under the control disbelievers. When they reached the vicinity of Mecca, a place called Hadidibi, the disbelievers blocked all the roads and barred the Prophet (SAWA) and his companion from entering Mecca. After an extended negotiation, the disbelievers signed a treaty with the Prophet (SAWA) in which the Prophet (SAWA) and his companions would return to Medina that year, and they would perform the pilgrimage of Hajj next year. The following year, when the Prophet (SAWA) was about to depart for the pilgrimage of Hajj, He was deeply concerned as to whether the disbelievers would breach the treaty and war might inadvertently break out between them in the sacred month of Hajj. 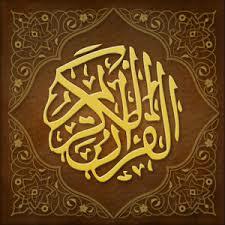 The verses, 2:190-195 were reveled in the year of 7th Hijri, after the peace Treaty of Hudaybiyyah [Arabic: (صلح الحديبية)], in response to the Prophet’s concern, [Tafseer–e–Namoona, Vol.2, P. 17]. The verse 2:190 directs Muslims to fight with those who wage war against them (وَقَاتِلُوا فِي سَبِيلِ اللَّـهِ الَّذِينَ يُقَاتِلُونَكُمْ). 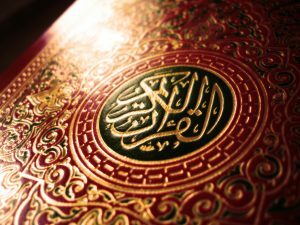 Nonetheless, the battle was instructed to be fought within the principles dictated by Allah (SWT), which the Quran names as: “In the way of Allah” or “In the cause of Allah” (فِي سَبِيلِ اللَّـهِ). The end of the verse states to not transgress the rules of battles, (وَلَا تَعْتَدُوا), since Allah (SWT) does not like transgressors (إِنَّ اللَّـهَ لَا يُحِبُّ الْمُعْتَدِينَ). Hence, one must observe many ethical principles in warfare such as avoiding the harm of elders, women, children, the wounded and captives. There is also requirement of circumventing the destruction of plants, crops and the environment. For this latter argument, jurists have forbidden biological and chemical warfare. Revelation verses of Jihad: The Prophet’s (SAWA) mission lasted 23 years: 13 years in Mecca and 10 years in Medina. In Mecca, the disbelievers of Mecca persecuted the Prophet and his followers until the Prophet (SAWA) migrated from Mecca to Medina. 2:109 …So pardon and overlook until Allah delivers His command. 2: 39 Permission (to fight) is given to those (believers) who are fought against, because they have been oppressed; and surely, Allah is able to give them victory.